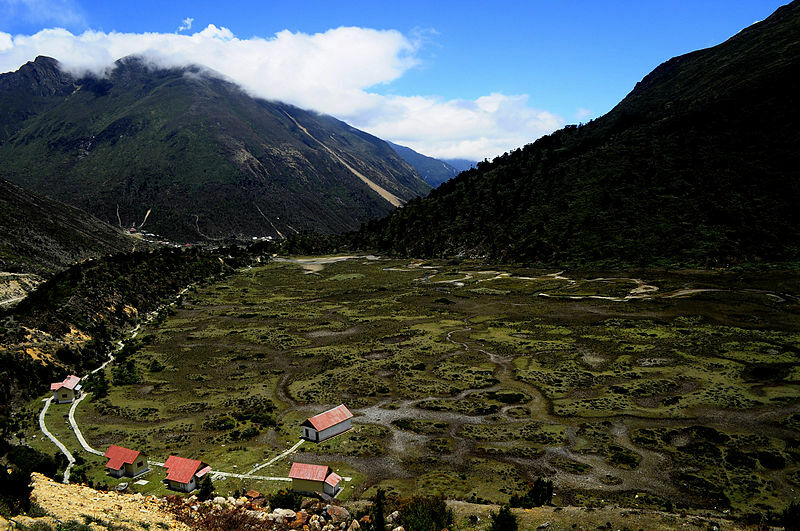 Lachen is just another surprise unfold in the northern part of Sikkim. It is a small settlement with magnificent beauty. The unbeatable beauty of Lachen requires certainly a keen eye to behold. Nature has numerous beautiful aspects and one of these features comes alive at Lachen. This small hamlet rests on a verdant plain land that is separated by spacious ravines of Lachen. The multi-hued mountains, along with snowy peaks and black cliffs, appear to rise from Lachen. Lachen is inhabited by very less number of people. It is considered as one of the sacred lakes of the State both by the Buddhists and the Hindus. It is situated at an elevation of 17,100 feet (5148 meters), The Lake remains milky in color throughout the year and it is believed that Guru Padmasambhava blessed it while returning from Tibet. A portion of lake does not freeze even in extreme winter. It is the largest perhaps the highest lake in Sikkim, India. The very appearance of serene waters of the lake brings a sense of relief to the beholder and it is one of the most mesmerizing Lake in Sikkim. Chopta valley lies sprawled at an altitude of 4023 m on the way to Gurudongmar Lake. Despite of being a tourist hotspot, Chopta valley is able to maintain itself as a pristine and tranquil destination. The valley is frozen during the winter and provides opportunity to walk over the frozen rivers. With each turn, each valley, each rivulet trying to outdo the other in the scenic beauty that it offers. An adventurous trek through Chopta valley leads to Muguthang valley at an altitude of 15500 ft, another unseen destination in the greater Himalayas. Tranquil and scenic is what Thangu valley is all about. 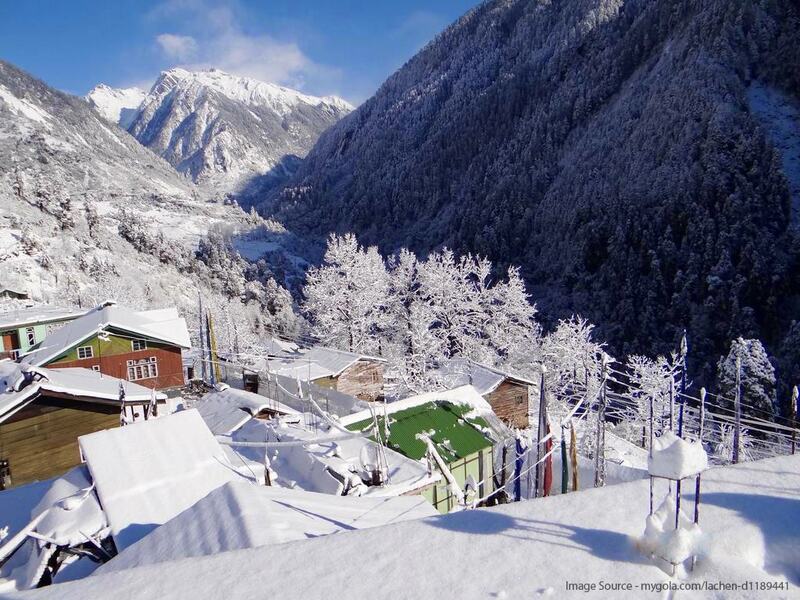 Due to its high altitude located of around 3962 m, it is covered in the blanket of snow almost all the time. The valley comprises alpine meadows that are flanked by shimmering water of River Teesta and wooden houses, offering a picturesque sight to witness. Tree lines disappear at Thangu and start a zone that can be compared only with the unreachable terrain in Tibetan plateau. It is situated on the high alpine plateau; Thangu can be an ideal place for the real nature lovers. Thangu has a large military base as the place is close to the Chinese border.